Self-driving cars will exacerbate organ shortages. We need to prepare for that now. 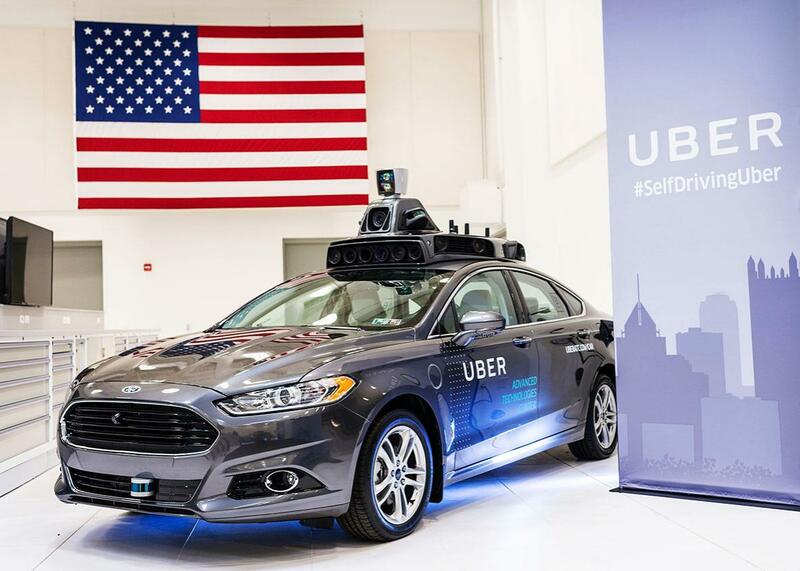 A pilot model Uber self-driving car on display on Sept. 13 in Pittsburgh. They will also change the way we die. As technology takes the wheel, road deaths due to driver error will begin to diminish. It’s a transformative advancement, but one that comes with consequences in an unexpected place: organ donation. Because they’re following the trajectory of transportation revolution, these further shortages won’t arrive all at once. We’re only starting the cautious rollout of the first wave of semiautonomous cars, which still require occasional operator input and, as we saw recently in San Francisco, further technical development. Sophisticated sensors and collision-avoidance systems will help reduce accidents, but the real change will come with well-engineered fully autonomous vehicles. The federal government has fast-tracked their adoption and sees them as a key part of a goal to get the nation to zero highway deaths in the next 30 years. Barring a monumental medical breakthrough in the field of organ replication, that means we need a national solution for our donation shortages—fast. The most straightforward fix would be to amend a federal law that prohibits the sale of most organs, which could allow for development of a limited organ market. Organ sales have been banned in the United States since 1984, when Congress passed the National Organ Transplant Act after a spike in demand (thanks to the introduction of the immunosuppressant cyclosporine, which improved transplant survival rates from 20–30 percent to 60–70 percent) raised concerns that people’s vital appendages might be “treated like fenders in an auto junkyard.” Others feared an organ market would exploit minorities and those living in poverty. But the ban hasn’t completely protected those populations, either. The current system hasn’t stopped organ harvesting—the illegal removal of organs from the recently deceased without the consent of the person or family—either in the United States or abroad. It is estimated that, worldwide, as many as 10,000 black market medical operations are performed each year that involve illegally purchased organs. What’s more, chronic diseases—especially those like kidney disease—disproportionality affect minority communities. According to the CDC, these disparities occur as a result of disparate environmental and social conditions, as well as limited access to health care. As a result, more than half of those on the national organ waiting list are minorities. While it isn’t unreasonable to surmise that some in these communities might have strong monetary incentives to sell their organs, they’re likely making more organs available to those from similar disadvantaged backgrounds. There’s also the question of whether we have inconsistent ideas about what parts of the human body we find acceptable to commoditize. We’ve already legalized paid medical trials and paid donations of blood plasma, sperm, and eggs. Egg donation is an invasive process that, like kidney donation, includes a small risk of health complications. But according to a national 2007 survey of clinics, egg donors are compensated an average of $4,217 for their contributions. So what would an ethical fix to our organ transplant shortage look like? To start, while there’s certainly a place for organ donation markets in the United States, implementation will be understandably slow. There are, however, small steps that can get us closer to a just system. For one, the country could consider introducing a “presumed consent” rule. This would change state organ donation registries from affirmative opt-in systems (checking that box at the DMV that yes, you do want to be an organ donor) to an affirmative opt-out system where, unless you state otherwise, you’re presumed to consent to be on the list. Researchers comparing liver and kidney donation rates in 48 nations found that countries with opt-out systems had higher transplant rates of both organs than those with opt-in systems. Of course, whether drivers opt in or opt out will become less relevant as autonomous vehicles make driving safer. There’s also evidence that both monetary and nonmonetary compensation offer strong incentives for donation. In 2008, for example, Israel instituted a benefit package for living donors that included full wage reimbursement for 40 days and up to five years of paid expenses for a variety of services, including health and life insurance. The country also amended its organ transplant law again in 2010 to allow a patient to gain priority allocation on a transplant list if a member of his or her family demonstrated willingness to donate an organ. The number of living organ donors increased by 67 percent between 2011 and 2013 compared with the previous three-year period. Setting up and regulating a paid donation system inevitably would be far more complex. But it’s useful to remember that, while autonomous vehicles are on the near horizon, they are not quite at the door. Widespread deployment of high-level autonomous vehicles is likely more than a decade away. In that time, as lower-level autonomous vehicles are deployed, policymakers could develop and refine legal protections for organ donors, with state-by-state standards to accommodate different levels of comfort. To address the potential for coercion, policymakers could institute a cooling-off period between when a donor agrees to sell an organ and when he or she goes through with the donation. To alleviate concerns associated with commercialization, compensation could be limited to fixed payments or to benefit packages that include insurance, tax deductions for travel, lodging and lost wages, or paid donor leave. We’ve come a long way since that first kidney transplant more than 50 years ago. Like today’s autonomous vehicles, organ donation was a powerful scientific breakthrough with great potential to save lives. But to get the human benefits, it all comes down to implementation. Lifting barriers for potential organ donors isn’t just a matter of personal freedom. It will soon be a dire need. We don’t want to reduce preventable fatalities on the road only to preventively increase them for those waiting on the transplant list.